This year’s theme, “Living as Missionary Disciples,” is the same theme as the second year of our Diocesan Evangelization and Renewal Plan, The Joy of Encountering Christ – The Family’s Hope. As missionary disciples, we have encountered Christ and now we go forth to share the encounter with others. Missionary discipleship is a challenge in today’s world with its many distractions, the lack of solid family life and good examples, and the many mixed messages we receive. Here in the Diocese of Brooklyn, we have been focusing on living as missionary disciples through our programs of religious education. We have seen an increase in enrollment in parish religious education programs by about 10,000 during the last five years. But we must continue this good work, as our goal is to add another 10,000 members to our religious educations programs by 2020. To make these programs beneficial to all, we also need an increased number of well-trained and formed catechists and catechetical leaders by several hundred. Currently, over 5,000 catechists and catechetical leaders participate in some form of adult faith formation each year. Our diocesan policy is that every catechist and catechetical leader in academies, schools, and parish programs participate in at least ten hours of faith formation annually, either through online or traditional setting courses. We have also expanded our adult faith formation offerings during this period of diocesan evangelization and renewal. Our newly established Secretariat for Evangelization and Catechesis is well armed for this work. We have several programs to help us reach these goals. The new Holy Spirit Institute for Service and Leadership is to certify lay volunteer leaders and provide scholarships for paid parish leaders to get advanced degrees in theology, religious education, etc. Also, ARISE: Together in Christ Small Group Faith Sharing Process, has been very successful in its first two seasons. We have had nearly 10,000 participants, including parishioners and those who are either lapsed Catholics or are exploring our Faith. We will continue ARISE for three more seasons. It is never too late to join. I would suggest that you contact your parish to participate in this worthwhile program. There are also other small group opportunities in the Diocese of Brooklyn and Queens such as Living the Eucharist. 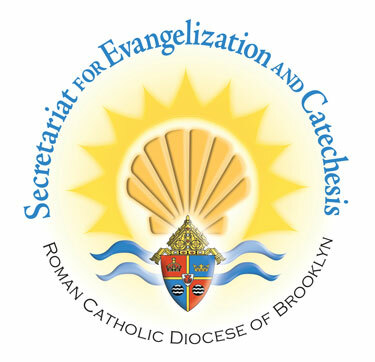 Information can be found in the Secretariat for Evangelization and Catechesis Guidebook 2017-2018 online at www.dioceseofbrooklyn.org, under Get Involved in Your Faith. Attend Mass every Sunday and Holy Day of Obligation. Discern about becoming a catechist or even a catechetical leader (director of faith formation or coordinator of religious education). Speak with your pastor. Take an adult faith formation course online or at a location in Brooklyn or Queens. Join an ARISE/LEVANTATE/LEVE KANPE group or some other small faith sharing or Bible study group. Reach out to your family members, friends, neighbors, colleagues, and classmates and share your faith. There are many diocesan, national, and international events that promote missionary discipleship. On Sept. 14, 2017, we held our second annual Diocesan Catechetical Summit for the pastors and catechetical leaders of the Diocese (see story). We gathered together to support and affirm the good work that is done in the parishes and Catholic academies and schools. In Brooklyn and Queens, we have seen tremendous growth in the religious education programs due to well-trained catechists. The evening allowed for an opportunity to give an annual report on the catechetical program of the Diocese, to encourage improvement wherever possible, and to urge parishes to collaborate with parents as the first catechists for their child. Our Secretariat for Evangelization and Catechesis is a clearinghouse for events that will help us learn to be better witnesses to the Gospel – Witnessing to the Gospel is the theme of the third year (2017-2018) of our diocesan evangelization and renewal plan. On the international level for 2017 to 2019 there are two events: the ninth World Meeting of Families in Dublin, Ireland, Aug. 21-26, 2018 and the World Youth Day in Panama Jan. 22-27, 2019. On the national level, there are three events: the National Catholic Youth Conference in Indianapolis, Nov. 16-19, 2017; the Steubenville Conference at St. John’s University in Queens, July 20-22, 2018 and the Magnificat Day in Brooklyn on Oct. 6, 2018. On our diocesan level, there are also three events; the Evangelization Congress at St. Francis Prep, Fresh Meadows, Nov. 18; diocesan Youth Day at St. John’s University on April 21, 2018 and the Assembly on Evangelization and Diocesan V Encuentro at St. John’s University, April 27 and 28, 2018. The theme for our diocesan Assembly on Evangelization in April of 2018 is Put Out Into the Deep. How fitting is this theme for our work of catechesis? As we put out into the deep this new pastoral year, I invite you to join me in celebrating the great work of the New Evangelization, which brings us closer to the Lord.